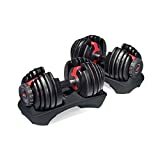 There are a variety of adjustable dumbbells available on the market and it can be difficult to choose the one that best suits your needs. Bowflex is a popular brand when it comes to innovative exercising equipment and the Bowflex adjustable dumbbell series also falls under this philosophy. 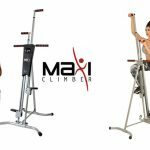 This article compares Bowflex Selecttech 552 and Bowflex Selecttech 1090 as these are two of the most popular products in the series. Our in-depth comparison will allow you to make an educated decision about which product is more suitable for your needs and preferences. 3 Should I Buy Bowflex Selecttech 552 or 1090? You won’t have to worry about screws to add or remove weights with the Selecttech 552 dumbbells. These dumbbells have a state-of-the-art dial system that allows 15 weights in one. In this way, you will be able to save a lot of your time as you won’t have to manually add or remove separate weight plates every time. 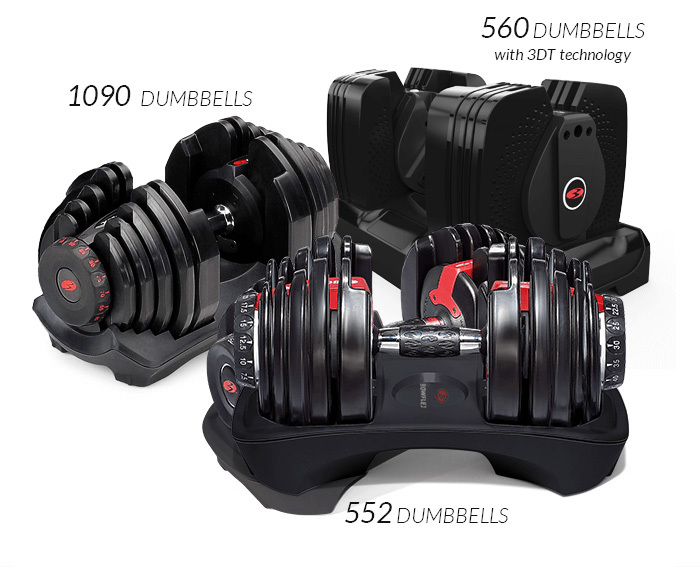 So, you can enjoy hassle-free and quick weight adjustments with the Selecttech 552 dumbbells. As you can easily add or remove weight plates via unique dial system of Selecttech 552, this product can cover a variety of weights between 5-52 pounds. It allows you to replace up to 15 weights at one time. So, this amazing equipment is best suited for strengthening and toning the lower body muscles. 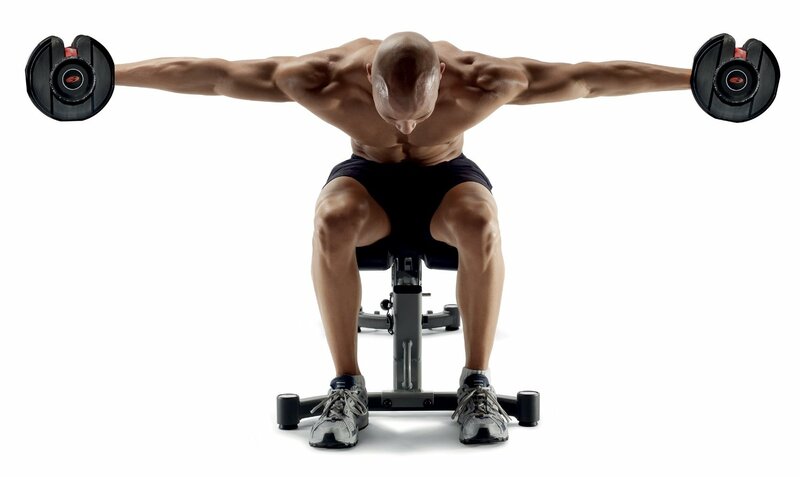 Selecttech 552 dumbbells ensure that your muscle strength grows progressively. Furthermore, you can also make minor increments in order to effectively attain your strength training goals. 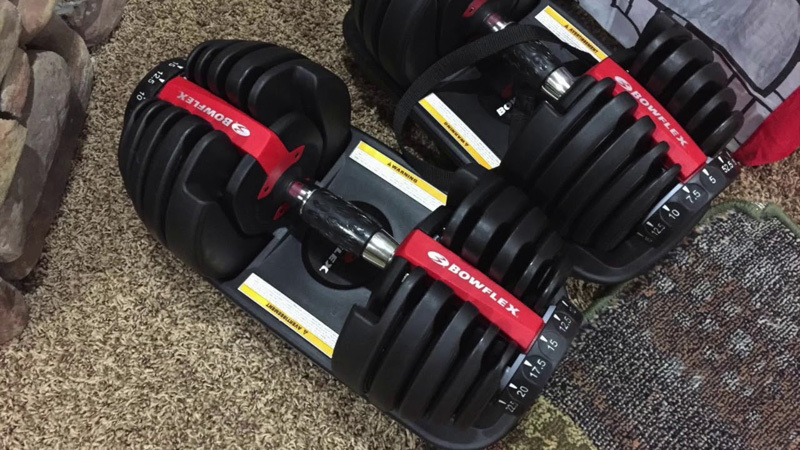 Bowflex Selecttech 552 Dumbbells are very safe to use thanks to their capability of keeping remaining weights inside special trays after the selection of a certain weight. Their square shaped chrome handles are ergonomic as compared to most round designs available on the market. Furthermore, their design is simplistic and traditional looking which is a good thing because weird designs and shapes can make some dumbbell models look dangerous and cumbersome. Selecttech 552 dumbbells are space saving as compared to most other models available on the market. You won’t have to purchase separate weight plates or go through the hassle of manually altering them when you work out. Instead, you can easily change the intensity of workouts with a twist of the dial mechanism. Rest assured, you won’t have any trouble storing them. In conclusion, Bowflex Selecttech 552 is one of the best exercising equipment around. Not only do they offer a great weight range to work with, they are also incredibly easy to use and feature small and precise weight settings thanks to the innovative dial adjustment system. All in all, Selecttech 552 dumbbells are worth it, even in 2018. Check Our In-depth Bowflex SelectTech 552 Review here. The Selecttech 552 is built to be light-weight and features 15 weight settings (between 5-52 lbs.). The ST 1090 on the other hand, features 17 weight settings (between 10-90 lbs.) and is designed for workout enthusiasts. The Selecttech 1090 offers relatively more intense workout experience. So, if you are a beginner and have little experience at weightlifting, then the 552 is best suited for you. The 1090 would be a better choice for more experienced weightlifters. The 552 features a metal base which is relatively heavier as compared to the plastic base of the 1090. While the plastic base of 1090 may seem like a disadvantage, it is not. Because it’s strong, rigid, and much lighter as opposed to the 552. Bowflex Selecttech 552 provides nice grip due to its rubber elements added to the handles. Bowflex Selecttech 1090 on the other hand, features all-metal handles. However, you don’t have to worry about the grip on that because its grip pattern works pretty well. There isn’t much difference in size when it comes to these specific models. The 552 has dimensions of 15.75”x8”x9” and the 1090 has dimensions of 17.5”x10” x10”. The overall look and feel of both models are the same. There are some plastic parts for the dial and the weight itself is made out of iron. The 1090 has flat sides while the 552 has rounded sides. Apart from this, the two models are identical. Both Bowflex 552 and Bowflex 1090 are great when it comes to space efficiency. 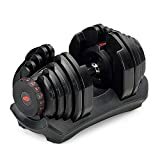 Both models offer multiple weight combinations in 1 dumbbell which is relatively more space-efficient as compared to an entire rack of traditional dumbbells. Selecttech 552 is priced at $259 while the Selecttech 1090 is priced at about $299. Both models come with a 2-year warranty on the weights as well as the parts. Should I Buy Bowflex Selecttech 552 or 1090? In conclusion, both adjustable dumbbell models are great buys. You cannot go wrong with either one as they both serve their purpose well. The 552 is more suitable for you if you want two dumbbells with relatively less weight and 2.5-pound adjustable increments. On the other hand, the 1090 is for you if you want higher weights and more intense workout experience. However, you will probably need to buy two sets as the 1090 come with 1 dumbbell. In the end, it all depends on your needs, preferences, and of course where you are at physically.